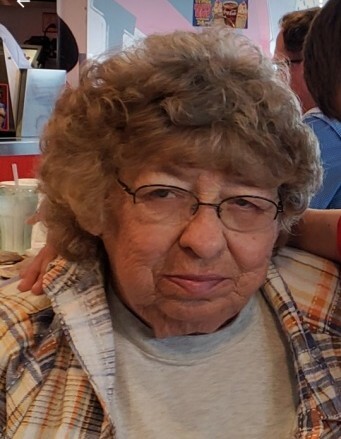 Margaret (Reese) Scheifer, 75, of Hillsboro, IL, passed away on Tuesday, September 4, 2018 at 10:54 a.m. at her residence. Visitation will be held on Sunday, September 9, 2018 from 4:00 p.m. to 7:00 p.m. at Bass Patton Dean Funeral Home, Hillsboro, IL. Funeral services will be held on Monday, September 10, 2018 at 10:00 a.m. at the funeral home. Reverend James Hayes, pastor of St. James Baptist Church, Hillsboro, IL, & Rev. Ralph Ward, Hillsboro, IL, will officiate. Burial service will take place at 1:30 p.m. at Mueller Hill Cemetery, Pinckneyville, IL. Mrs. Scheifer was born on October 14, 1942 in Dowell, IL to Marshall "Buster" Reese, and Pearl Alice (Williams) Lane, (husband Frank, Lane). She was a Graduate of Elkville High School, Elkville, IL. Mrs. Scheifer worked at Hillsboro Glass Factory, Hillsboro, IL, Coal Miner in Coffeen, IL, Ameren Coffeen Power Station, Coffeen, IL, Owned Maggie's Tavern, Schram City, IL, and was the current owner of Scheifer Trucking, Hillsboro, IL. She married John Severs and later divorced. She later married Ronnie Scheifer on November 12, 1983, Irving, IL. He survives in Hillsboro, IL. Mrs. Scheifer was a member of UMWA, Union at Ameren- Local 148, and OOIDA Trucking Organization. She loved to play pool, fish, and spend time with her grandchildren. Mrs. Scheifer is survived by her children, J.C. (Wife Debb) Severs, O'Fallon, IL; Allen Ray (Wife Kelli) Severs, Chatham, IL; and a daughter-in-law, Sheila Severs, of Edwardsville, IL; Six grandchildren, DevinJo Inman, Olive Branch, MS; Darek Wayne Severs, Auburn, IL; Sara Severs, Glen Carbon, IL; Stephanie Severs, Edardsville, IL; Jaime Marie Lee, O'Fallon, IL; Ryan David Lee, O'Fallon, IL; Eight great-grandchildren; & Two great-great grandchildren. Mrs. Scheifer was also proceded in death by her child, B.J. Severs, on April 30, 2017, and sister, Stella Mae Luttrell. Memorials may be given to the Moose Club, Hillsboro, IL.